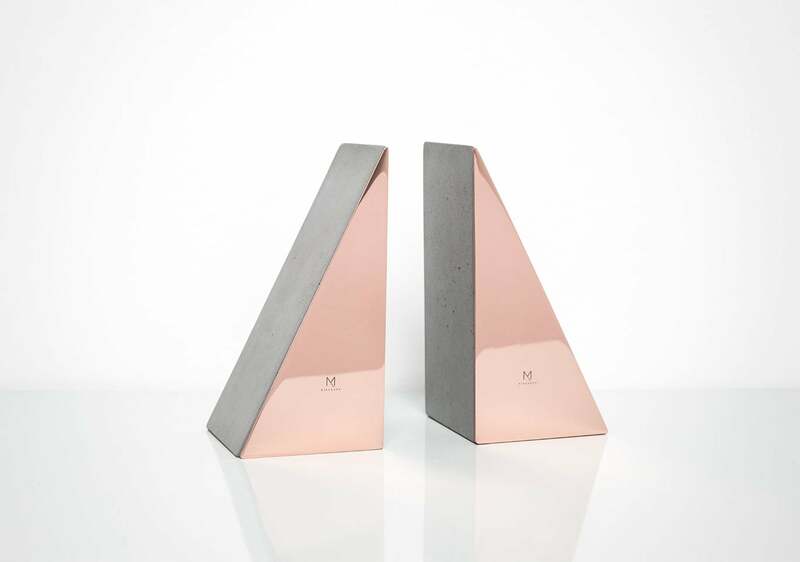 Minimalist handmade reinforced concrete bookend set with pure mirror finished copper plate. Exclusive and contemporary accessory for home or office interior. Bookends are solid, stable and perfectly hold books of any size. Bookends are protected from dirt. Copper plates are protected from oxidation and abrasion.